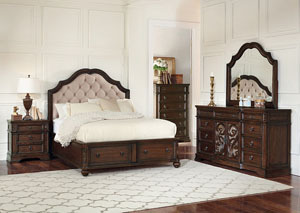 Steal a glance in the Ilana Antique Java Vanity Mirror and be ready to face the day. Part of the Ilana Collection, this mirror features the same wood detailing and antique java finish the other pieces in the collection enjoy. 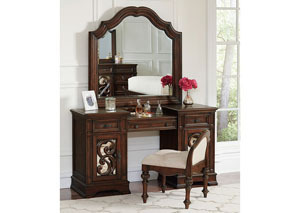 Pair with the elegant Ilana Vanity Desk and stool for a complete set.